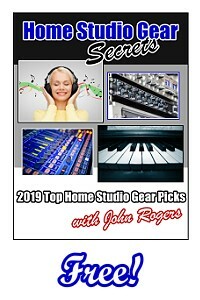 Looking for the best audio interface for your DAW home recording studio in 2018? An audio interface is another essential part of the DAW home recording studio. Its purpose is to import music or vocals from an outside analog source (such as a microphone or a line-in) and convert it into digital information that can be recorded to your computer hard drive. An audio interface is also needed if you are producing music (and not externally recording anything). Note: Most firewire audio interfaces also have a mic pre-amp, which is adequate. No separate pre-amp is needed, unless you're looking for a tube/analog hardware pre-amp. Before getting into my recommendations, I'd like to say that I've worked on 1,000's of songs that were mixed using high-end audio interfaces all the way down to the cheap Focusrite audio interfaces. I've found that material recorded with higher-end interfaces does sound "better," but with good clean recording and proper mixing and mastering, you can get great sounding results from a lower priced ($500) audio interface. The average person couldn't tell the difference if done correctly. I was going to do a big "top ten" review, but with audio interfaces it's really not needed. These are your three best choices. Anything else is an unneeded risk. I actually worked with a few different Focusrite audio interfaces as part of a test group, several years ago. The sound quality was very good. But, latency and number of inputs depended on the price of the unit. This has to be one of the best deals I've ever seen for an entry level sound engineer or music producer! You get a high quality audio interface AND the ProTools DAW for only $99! WOW! But there are a few catches with this unit. 1. This is a personal home unit. It has only one mic and one line input. Obviously, you can't mic a whole drum set in a recording session, you have only one mic input! But this works for many. Most music producers only need a mic input and they're good to go. 2. Latency on these cheap Focusrite audio interfaces can be bad. Why is this an issue? When you play your instrument samples using a keyboard, there's a delay from when you strike the key to when the note plays. Also, when you sing you can hear a delay in your headphones. The delay is affected number of tracks. If you have only 5 tracks, you probably won't have any problems. If you're rappin to beats, you have one stereo track and a few vocal tracks. This interface is for you. But, If you're doing 25 track royalty free songs or recording 25 track rock songs, for get it. 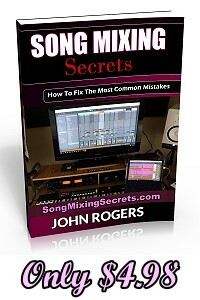 The delay will be big and you might get crackles and a lot of crashes during mixing. The frustration will force you to buy a better unit if you are working on big projects. 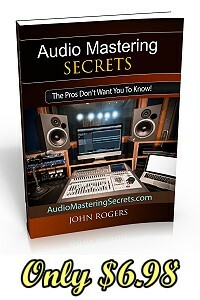 Audio mastering, you should have no problems because it's only one stereo track. Would I buy something an audio interface like this? If all I had was $100 and I was just starting out with nothing, probably because it comes with ProTools too. At the very least, just to learn with this cheap gear. But I would upgrade this thing ASAP! People talk about the sound quality with the cheap audio interfaces and they're right, its great! But it's weak when it comes to recording, producing, mixing, etc. You'll see when you push the number or tracks on el cheapo! This audio interface is a latency upgrade from the Focusrite Solo I reviewed above. This audio interface is also an outstanding choice! It combines not only an audio interface but a high quality effects processor. I use UA effects processors to some extent on everything I mix and master. This is a great "bank for your buck" piece of gear since it combines two pieces of gear in one. I've been using an RME Fireface audio interface for several years. RME interfaces are industry standard for the price. Sound quality is great, but I wouldn't say it's incredibly better that the $500 Focusrite audio interfaces. The average person would not be able to tell the difference with all things (recording, mixing, mastering) being equal. What you're paying for is speed! I would say the latency on this RME is roughly 3-4 times better than the $500 Focusrites. That means if you're having problems at 15 tracks with a cheaper audio interface, you won't experience these problems until 50-60 tracks using this RME. You can save $100 and get an RME with a few less inputs, but it's not worth it. This unit with all the inputs holds its value very well. You could buy this for around $1,500, use it for three years and sell it on eBay for $1,000. Not that you would want to, but I'm just saying RME is industry standard gold! Most of the songs mastered on this page were mastered using this audio interface!